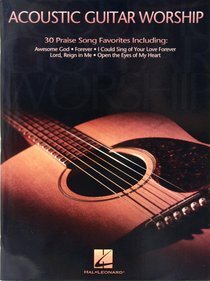 30 praise song favorites arranged for guitar, including: Awesome God * Forever * I Could Sing of Your Love Forever * Lord, Reign in Me * Open the Eyes of My Heart * and more. 7 - Did You Feel The Mountains Tremble? About "Acoustic Guitar Worship (Music Book)"